Arthur Loesser had an eye for the attractive young women in his piano literature class at the Cleveland Institute of Music (CIM). Although he complimented them lavishly, he joked that he was more beautiful than they were when he played the piano. A small, rumpled man with a twinkle in his eye, Loesser charmed audiences whether he was performing a recital, making witty comments from the keyboard, writing insightful program notes for the Cleveland Orchestra or posting perceptive reviews in the Cleveland Press. In his youth, Loesser traveled the world as an accompanist to great artists, such as opera contralto Ernestine Schumann-Heink and violinist Maud Allen. After settling in Cleveland, he focused on teaching, writing and performing. In addition to playing recitals that covered a vast range of repertoire, he appeared as concerto soloist with major orchestras. 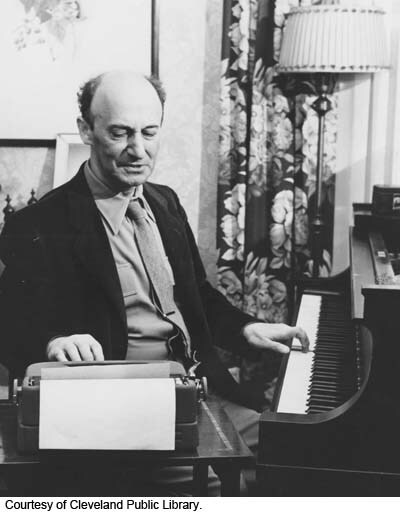 Today, he is remembered for his scholarly and humorous book, Men, Women and Pianos: A Social History, and his contributions to the International Piano Library (now the International Piano Archive at the University of Maryland), which he co-founded. Born in New York City on August 26, 1894, Loesser began piano lessons at age six with his father, a German-born pianist and businessman. Three years later, he was enrolled in the Institute of Musical Arts (later part of the Juilliard School). Besides completing his studies in music, he took courses in zoology at Columbia University and the College of the City of New York. He made his professional debut at age 17 in Berlin and launched his international career touring with Russian violinist Mischa Elman. While traveling in the Far East, Loesser fell in love with Japanese culture and learned to speak the language. An accomplished linguist, he also spoke German, French, Italian and Portuguese. During World War II, he served in the U.S. Army as a Japanese language officer. After the war, he was ordered to Tokyo, where he lectured about music (in Japanese) and performed Chopin’s Piano Concerto no. 1 (in military uniform) with the Nippon Philharmonic. 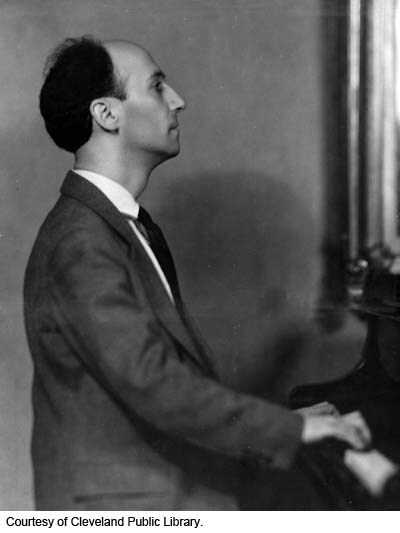 Loesser joined the CIM faculty in 1926 and was named head of the piano department in 1953. He edited the Cleveland Orchestra program books from 1936 to 1941 and served as music editor of the Cleveland Press from 1937 to 1956. His debut review, a tongue-in-cheek critique of his own faculty recital, attracted national attention. He also won praise from leading critics, such as Harris Goldsmith of High Fidelity/Musical America, who considered him “one of the few truly great pianists,” and Donal Henahan of The New York Times, who delighted in Loesser’s legendary program of forgotten favorites, “Sic Transit Gloria Mundi.” This collection, as well as Bach’s Well-Tempered Clavier, were recorded on long-playing discs. As a teacher, Loesser was regarded as “a supreme master musician . . . and an excellent psychologist,” said his renowned pupil, Anton Kuerti. Esteemed members of Cleveland’s musical community, Loesser and his wife, Jean Bassett, created an artistic salon in their Cleveland Heights home. There he entertained guests with his inexhaustible memory bank of classical music and popular tunes, a passion he shared with his younger half-brother, Broadway composer Frank Loesser (self-described as “the evil of two Loessers”). On January 4, 1969, Arthur Loesser spent hours practicing Bach’s "Goldberg Variations" before suffering a fatal heart attack at the wheel of his car outside the Cleveland Institute of Music. In a memorial tribute, Cleveland Orchestra music director George Szell described Loesser as “not only a great old friend but a unique personality whose character, artistry, culture and encyclopedic knowledge was rooted in better, bygone times.” The artist appeared several times with the orchestra as soloist as well as with his colleague Beryl Rubinstein.